Time to get dirty with your favorite stream team in Spintires: Mudrunner. Nothing’s more fun that a little roll around in the mud. The Shacknews stream team is taking a break from the normal new releases to take a detour deep into the forests of the former Soviet Union. This is the Dark Souls of truck-based Shack streaming. This is Spintires: Mudrunner. 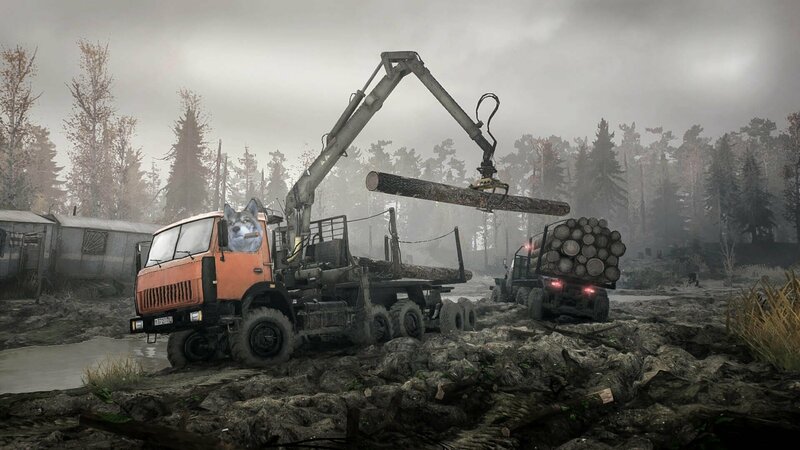 Born as a techo demo and eventually built into a full-fledged game, Spintires tasks player with delivering loads of logs to remote destinations in its sprawling wilderness maps. We’ll take a look at what makes this game special ahead of its upcoming sequel next year. The fun starts at 6:30 PM ET (3:30 PM PT) on the Official Shacknews Twitch Channel.